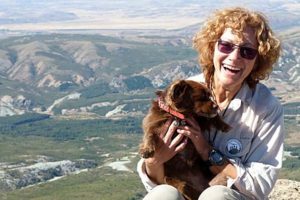 We are delighted to welcome to CRAGS, Marcela Ferreya is a Biology Sciences Professor who live and does botanical research in Patagonia, Argentina. Marcela will speak to us on “The Andean range and its flowers in Patagonia”. Blest -Valdivian Forest” -Spanish- (2018). Currently Marcela is working on: “Flowers of the Forest in Patagonia” and “Flowers of the Austral Monte”, both in Spanish. All of these publications feature her excellent photography.